With the minor league season starting up, the SoxProspects.com rankings have been updated for the start of the season. 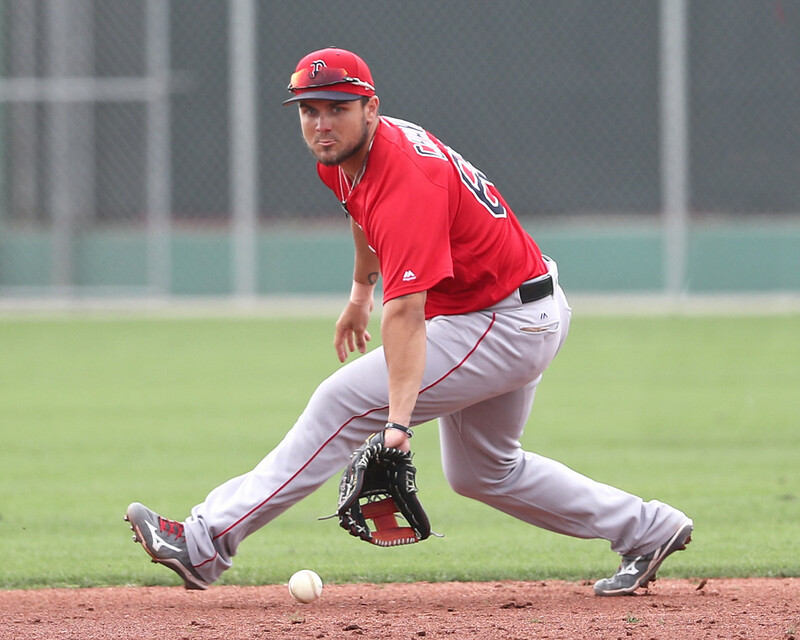 Michael Chavis (pictured, right) remained in the top spot, while Darwinzon Hernandez moved up to the second slot after an impressive spring. Rounding out the top five are Triston Casas, Bobby Dalbec, and Tanner Houck. You can see the top 20 here, and 21-60 here. Chavis headlines the Pawtucket roster, and he will be joined in the lineup by post-prospects Sandy Leon, Rusney Castillo, and Tzu-Wei Lin. The only other top 40 prospect in the lineup is 27th-ranked Josh Ockimey. The opening day starter is Mike Shawaryn, who opens the year ranked 15th, and the bullpen has some good arms with Travis Lakins, Bobby Poyner, Josh Taylor, and Chandler Shepherd all ranked in the top 60. All four pitchers are on the 40-man roster so they have a chance to see time in Boston this year. Arguably the most exciting roster of any affiliate is Portland, as five of the top 10 prospects will start the year with the Sea Dogs. Darwinzon Hernandez leads a strong rotation which also includes Houck and 19th-ranked Denyi Reyes, the 2018 Red Sox Minor League Pitcher of the Year. There are also two top 20 prospects in the bullpen, with ninth-ranked Durbin Feltman and the number 20 prospect Zach Schellenger leading the way. Schellenger is skipping Salem after throwing only 10 1/3 innings in Greenville last year, so he is clearly someone the Red Sox are impressed with. The Portland offense has some interesting bats with Dalbec and eighth-ranked CJ Chatham set to man the left side of the infield. Another infielder to keep an eye on is 24th-ranked Brett Netzer, as the former third-round pick showed off a decent hit tool with Salem last season. Some other familiar faces on the team are Tate Matheny and Aneury Tavarez, with Tavarez moving back down to Portland after spending most of last season in Pawtucket. While Salem only has two players currently ranked in the top 20, the roster is rounded out by several interesting prospects who are ranked in the 30's and 40's. Number 10 prospect Bryan Mata returns to Salem after an up-and-down year that ended in late-July due to a back injury. He is still the youngest player on the team by almost 17 months. Jarren Duran, ranked at number 13, is the top offensive prospect on the team as he looks to follow up an impressive debut after being drafted in the seventh round last year. First baseman Pedro Castellanos, right-hander Kutter Crawford, and left-hander Jhonathan Diaz are players who had great numbers in 2018, though their scouting reports say that they will be tested against tougher competition. Relievers Jake Thompson, Joan Martinez, Andrew Politi, and Eduard Bazardo all rank between 33 and 51, and Thompson and Martinez have potential to move up into the 20's with strong years. Martinez has reportedly hit 100 mph, though he normally sits between 93-96. The Greenville roster is highlighted by a pair of high-ceiling bats in Casas and 11th-ranked Brandon Howlett (pictured, right). Casas was Boston's first-round pick last year, while Howlett was a 21st-rounder who looks like a potential steal based on the initial scouting looks. The rotation is headlined by 18th-ranked Alex Scherff and 21st-ranked Brayan Bello. Scherff was in Greenville last year but threw only 65 innings due to injury, while Bello spent 2018 in the DSL, with a late-season promotion to the GCL. He threw only three innings in the GCL, but the Red Sox saw enough this spring to give the 19-year-old a full-season assignment. There are a few good bats that will surround Casas and Howlett in the lineup, with Tyler Dearden, Kole Cottam, Tyler Esplin, and Devlin Granberg all ranking in the top 40. Former second-round pick Cole Brannen will also get a lot of playing time as he tries to bounce back from a 2018 season that saw him start the year in Greenville only to be demoted to Lowell. Dearden hit .306/.364/.459 with Lowell last year, and Cottam is easily the top catcher in the system right now. Two other arms to note are Yoan Aybar, the converted outfielder who now is a left-handed reliever who throws in the upper 90's, and Thad Ward who will join Scherff and Bello in the rotation. The top prospects to not get assigned to a full-season team are Jay Groome, who is recovering from Tommy John surgery, Antoni Flores, Nick Decker, Danny Diaz, Gilberto Jimenez, and Nick Northcut. 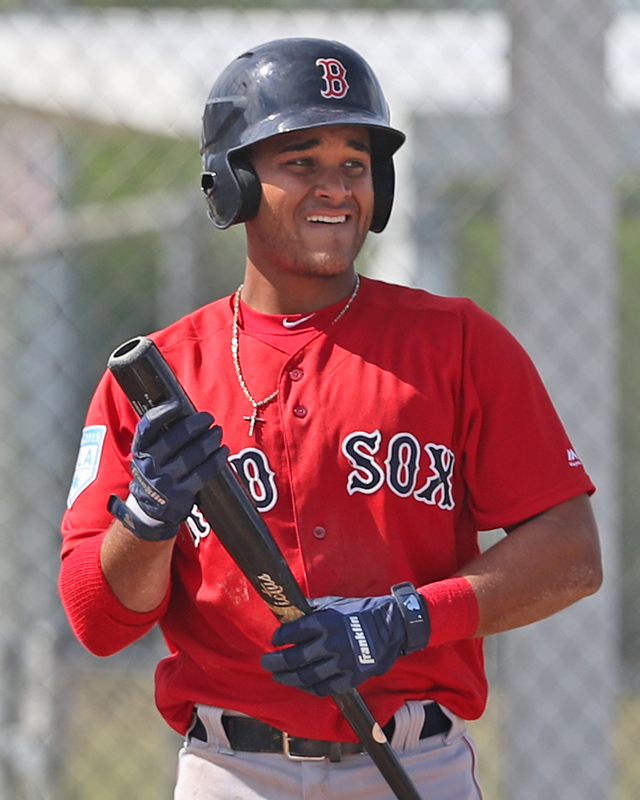 The Red Sox are taking a conservative approach with these players, but it would not be surprising to see one or two of them on the Greenville roster in a couple of months. One other familiar face who will open the season in Greenville is Dustin Pedroia. The plan is for him to play on Thursday, Friday, and Sunday and then see how his knee reacts. The Fort Myers News-Press posted an article about Thad Ward's offseason, noting that he worked as an assistant basketball coach for his high school alma mater Bishop Verot. Located only about 10 miles away from Jet Blue Park, Ward also found the time to get back to the school to help the baseball team this spring as well.